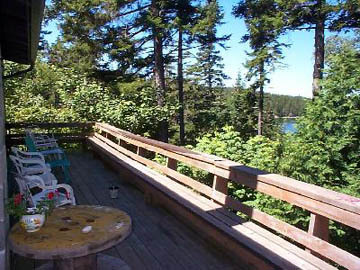 DESCRIPTION: Newly renovated in 2011, this secluded, large, 3 bedroom cottage with a deck that over looks Sawyer's Cove. Beach access via a rough wooded path. 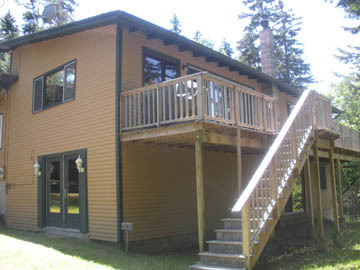 Located only 15 minutes from Bar Harbor and the main entrance to the Park. LAYOUT: Kitchen, dining area, living room w/ flat screen tv, step down into 3 additional bedrooms - Two with 2 twins and a master bedroom with a queen and a 3/4 bath (shower only). Full bath. LOWER LEVEL: Washer and dryer. Game room with ping pong table.